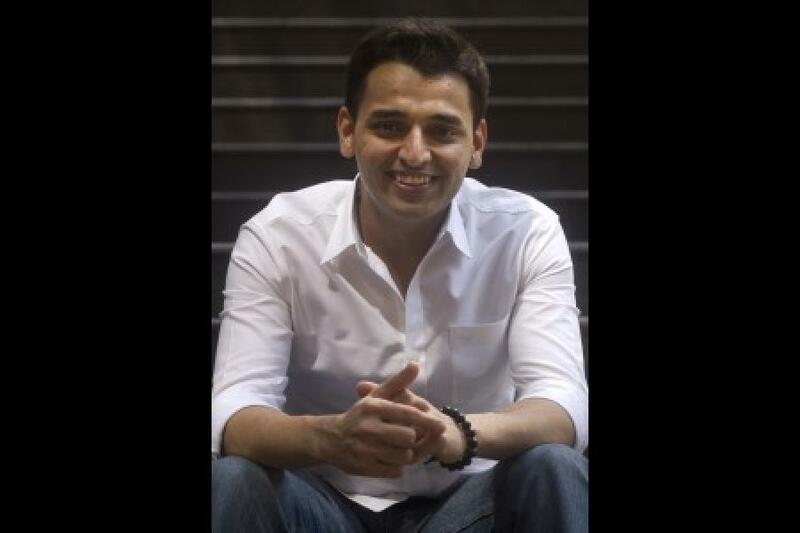 Pranav Mistry, the tech wizard of Palanpur, and quite easily the most famous Indian research assistant ever, showcased his latest Sparsh project last night at the Nasscom Leadership Forum in Mumbai, stunning the IT biggies in attendance. A journalist, tech passionate and net evangelist, I champion the cause of all things digital at Forbes India. Formally they label my role as the Deputy Editor and Editor (Online) here. In my earlier roles I have been a writer for a London based magazine, senior editor at the Times of India, editor of Digit (a technology magazine), a tech show anchor at Bloomberg TV channel and editor of their technology web site. Traversed through the print, TV and online mediums as a journalist; their mashup is now my goal. 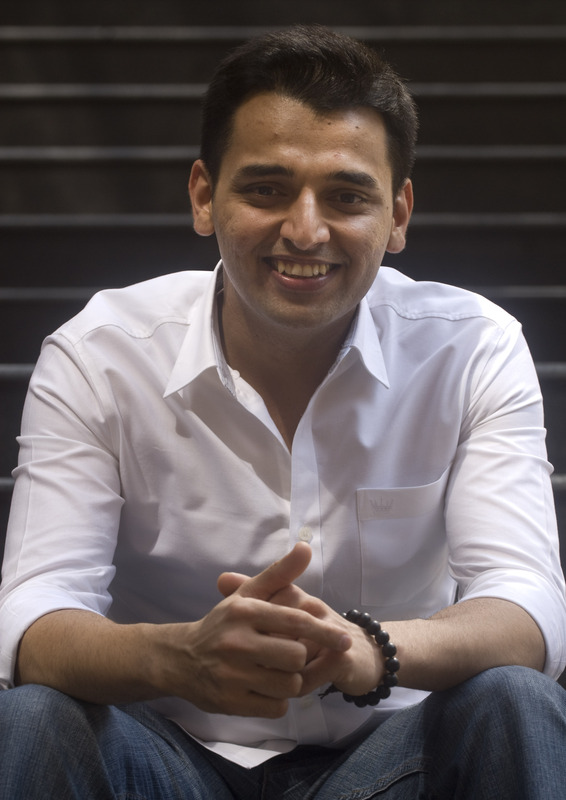 Pranav Mistry, the tech wizard of Palanpur, and quite easily the most famous Indian research assistant ever, showcased his latest Sparsh project today at the Nasscom Leadership Forum in Mumbai, stunning the IT biggies in attendance. Famous for the the SixthSense demo at the 2009 TED conference (also see his presentation at TEDIndia), Mistry is someone we have long been a fan of. Sparsh, which means 'touch,' enables transferring data between devices with just finger movements. Using the patented technology, he demonstrated how a mere touch of a finger can help transfer image from his cellphone to a laptop screen. Sparsh uses devices that have IP numbers (Internet Protocol numbers), are connected to the net and run its patented software. He's also working on TeleTouch, which allows you to control various devices from a distance. He showed the audience how one could use a smartphone to switch off a lamp, open doors or copy files from a computer screen on a phone! In an interview after the presentation, he answered a few questions on his new project, his inspirations, and his eventual goal in life. Here's a lightly-edited extract. So how does Sparsh work? You access Gmail from different computers using merely your username and password; similarly the Sparsh cloud project uses touch technology and facial recognition (or any other technology such as iris-scanning or biometrics) to authenticate and access content stored on cloud. All mails in Gmail are stored on a server in the cloud and can be accessed via a password; similarly, whenever we use Sparsh technology in phones or devices, it sends the data to a server / cloud as soon as you touch the data on the device. Later, when you want to fetch the data from a different device or a laptop, a program helps use your touch as the password to fetch it back from the server. There are programs and IP (internet protocol) fixtures on both the products (phone device and laptop) which help establish a connection between them via the Internet. The same technology can be used to connect all devices in the home, where each is connected to the internet and has an IP. Then data can be shared between them conveniently using Sparsh technology. You believe in sharing your ideas and even technologies for free. You are behaving as an inventor today, but at some stage you will move on to the commercial world; how will you balance this desire to share your creations for free while ensuring you have funding for your next big thing? Yes, many people tell me that I can make lots of money if I sell the patented technologies I have helped create. But my goal isn’t to be the richest person in the world. And this also has to do with the way I grew up in Palanpur, my hometown. I realised early in life that no one remembers you post death just because you were a rich person. Do YOU remember such a person? We now know the richest when they are alive. But do you know the top 10 richest of 18th century? But we all do know Albert Einstein, Mother Teresa, so we do remember those who make a change in history. We always remember those who contribute to society. And money shall come and go, I shall have enough to be happy but not necessarily want so much that I don’t know what to do with it. I also realised that I should only do things I love. Yes, I am happy to work with companies that agree to my principles on usage of technology that benefits a large section of consumers and not just a handful. For example, I worked at Microsoft in India, where I worked on a software for children; it was my thesis project. One of my conditions was that this software needs to be free for kids. You should not charge young kids any money, just as Microsoft Paint comes free bundled with its operating system. I am okay to put a price on it if it’s a hardware innovation, but the company needs to price it rightly and the goal should not be just to make pots of money. Currently, for any project at MIT Media Labs, we do get sponsors, but they do not have exclusive rights to it; we have the liberty to share the same technology with others who wish to partially sponsor it or help co-fund it. One thing I have noticed: industry wants technology to earn revenue, so they keep holding back technological innovations to offer you upgrades at a later time at a higher price. For example, the iPhone 3, 4 and 5 will have added features. They already know what they will possibly put in iPhone 9, but will not give it all away now. The reason is they want to make money at every stage. Same with Intel, and many other companies. But this cannot go on. Because democratisation of technology and demand by consumers will enforce competition. If one company holds back, others will try to offer it and grab market share. Earlier consumers didn’t know what they wanted, companies gave them what they felt like. Now people have begun demanding more, expressing their needs on different media. They watch lot of science fiction, and thereby a demand is created. And if one company does not meet this demand, others will rush to give it. Competition will drive time-to-market of new tech devices to get faster; companies will be forced to listen to people. What causes do you think need attention? My personal interest is exploring is the next level of medium. I wouldn’t say I am a computer engineer, or a scientist, I rather like the approach of Leanardo da Vinci, wherein you mix fields in order to achieve something. Maybe it’s a bit early for its time, but I believe the current medium has its own limitation. Even the digital medium has some limitations. So I am in search of a medium that is more interactive than the ones we currently have. Radio was merely audio, TV had visual component but was one-way, computers have made it more interactive and let us chat and communicate. But we need to move on. For example, we have a lot of visual data, but it always needs a screen, which is powered by electricity, to see it. So I am thinking: can we have a new medium which uses features of the ones we have today but further enhance it by either mixing some features or adding a few more to enhance the user experience. No one imagined what the internet would do for us, but now it’s helping connect people across the globe to share data, information, and more. Would you have been able to achieve in India all that you achieved in MIT? Much of my work you see today was done in India when I was in IIT or working with Microsoft. My first project, gestures using gloves, the Amul project…all of it was done here in India. I don’t think resources is an issue. In fact lack of resources sometimes forces you to be more creative, and the output is much cheaper than what you would have achieved with a lavish research budget. I will never give the excuse of lack of resources. Yes certainly sometimes it’s good to have all resources, but you should not be dependent on it and the lack of it shouldn’t stop you from being creative.